Megan Mitchell, Australia’s first National Children’s Commissioner, talks to We Hear You about the launch of a new comprehensive toolkit by the Australian Human Rights Commission to help encourage respect for cultural diversity and tackle racial prejudice in early childhood settings. Do these sound like things children in your service have said to you? These are examples of comments from children that early childhood educators provided to the Australian Human Rights Commission, in a survey on the challenges to educating about cultural diversity and addressing prejudice. Last year, the Australian Human Rights Commission conducted a survey with over 400 early childhood educators across Australia to capture their views and experiences of cultural diversity and racial prejudice in their early childhood services. Many educators reported hearing comments like those above. What’s more, educators told us that they commonly encountered prejudicial attitudes or behaviours from parents and other educators, as well as from children. 43% of educators said they had heard a child say something negative about another person’s racial, cultural or ethnic background and 49% told us they had heard a parent say something negative on the same grounds. Many educators indicated they felt unsure how to effectively respond to these challenges. 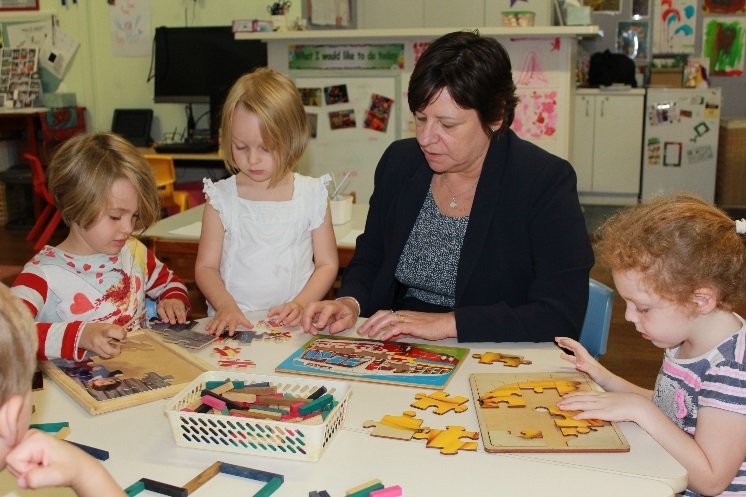 In response to this, the Australian Human Rights Commission, with the support of a reference group made up of early childhood educators and other specialists, has developed its very first early childhood resource. ‘Building Belonging’ is a comprehensive toolkit which includes an eBook, song with actions, educator guide, posters and lesson plans. 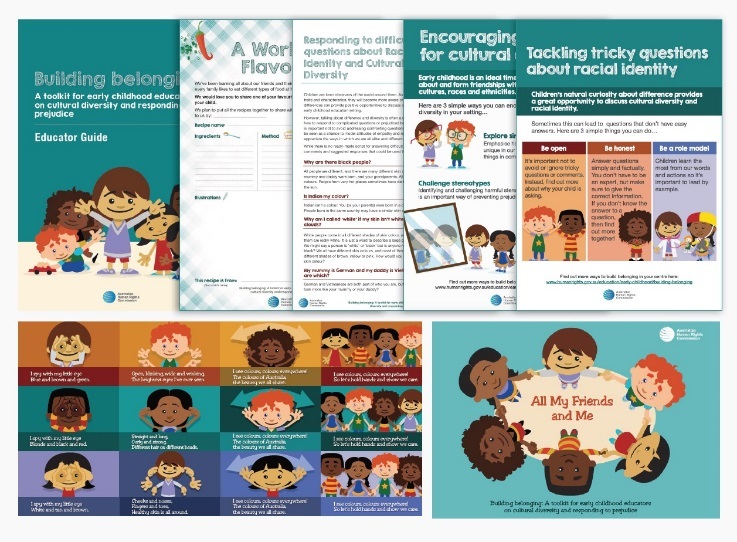 The resources aim to provide educators with simple and practical ideas on how to handle challenging or confronting questions about racial differences, while also offering children stimulating activities and games to engage them with ideas around cultural diversity. It is important that children in Australia today grow up with an appreciation and respect for the diversity of cultures, races and ethnicities that surround them. As National Children’s Commissioner, I seek to promote and advocate for the rights of all children and young people in Australia. This includes making sure children and young people know about their rights and how to claim them. Children are never too young to start learning about their rights and responsibilities. Children who grow up knowing that they, and everyone around them, have rights will carry the messages of respect and dignity that accompany this knowledge into adulthood. Through engaging with these resources, educators have an opportunity to shape positive practices and provide all children with an early sense of their value, agency and belonging. Information about the ‘Building Belonging’ toolkit and links to the free resources are available on the Australian Human Rights Commission website. Next Next post: What does it mean to be ‘Working Towards’ the National Quality Standard?